As an old saying goes, ‘What is not measured can’t be managed‘. You’ve heard it before. Bombarded by numbers from every direction, we put statistic into context. Before you start planning the next year budget, don’t overlook PPC numbers. How do you plan to stay competitive without those numbers? Let’s talk turkey, every marketer needs to keep an eye out for the digital marketing strategies. The PPC industry is extremely dynamic. Getting insight into what changes you should expect in the coming year is worth gold. It’s important to think about how to spread marketing budgets and make money with PPC across the various digital channels for the next 12 months. Considering that an astonishing 86 percent of all the U.S. users regularly utilize the internet, social media takes all the credit. According to the numbers, marketers do not compromise Facebook expense the current year. As a result, it remains a leading channel for ad marketing the next year, too. Think only, as much as 40 percent of internet users follow brands on social media. Still looking for ways to boost customer loyalty? Head on to social media right away! Instagram and Twitter, by comparison, expect to increase revenue from less than half of respondents, 28 percent and 18 percent respectively. 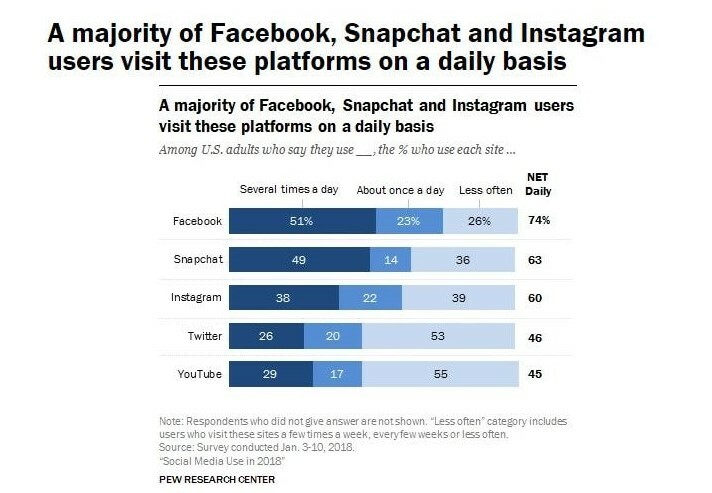 Along with being the major audience channel, with over 68 percent of adults using it, Facebook users also visit the site with high levels of frequency. Besides, whether you like it or not, mobile marketing is presumed to be considered across channels. 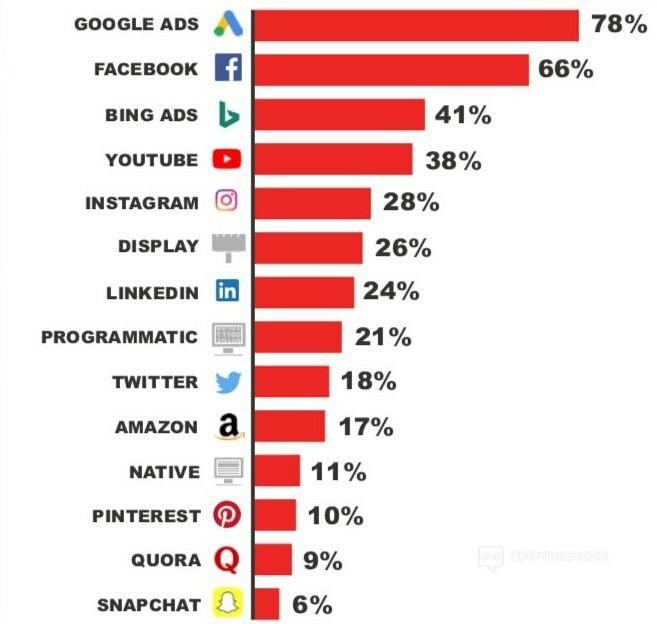 To be more accurate, investment in paid search, display advertising, a social media advertising, and email marketing will account for 46 percent of all advertising by 2021. Despite that fact, that Amazon holds a far smaller market share than either of the top two digital ad sellers – Google and Facebook, it’s growth rate in the space is staggering. At the growth rate of 17 percent, it has become an attractive place for online merchants to advertise. That may not seem all that impressive compared to the top two players, but Amazon’s ad sales are up 144,5 percent compared to the last year. According to the Wall Street Journal article, Amazon is expected to increase its ad sales by a staggering 453 percent between 2017 and 2020, compared to just 168 percent for Tencent, 105 percent for Alibaba, ad 77 percent for Baidu. 62 percent of marketers planned to increase their PPC budget in the next 12 months, while 35 percent of them will keep it unchanged. While the average click-through rate for PPC ads is only 2 percent, the average click-through rate for the top paid result on the screen is almost 8 percent. The average mobile PPC ad click-through rate drops 45 percent between positions one and two. 68 percent of companies have increased their budget on PPC advertising since last year, while 18 percent of companies have increased it drastically. In its turn, 9 percent of companies keep their budget low. Multiple platforms offer a rich buffet of ad types and options, prices abound – some more expensive than others. Say, if Instagram click price is relatively low now, yet, its price will grow over time, as the platform will expand. In an ideal world, historical data would perfectly anticipate future performance. Yet, the reality is just the contrary. 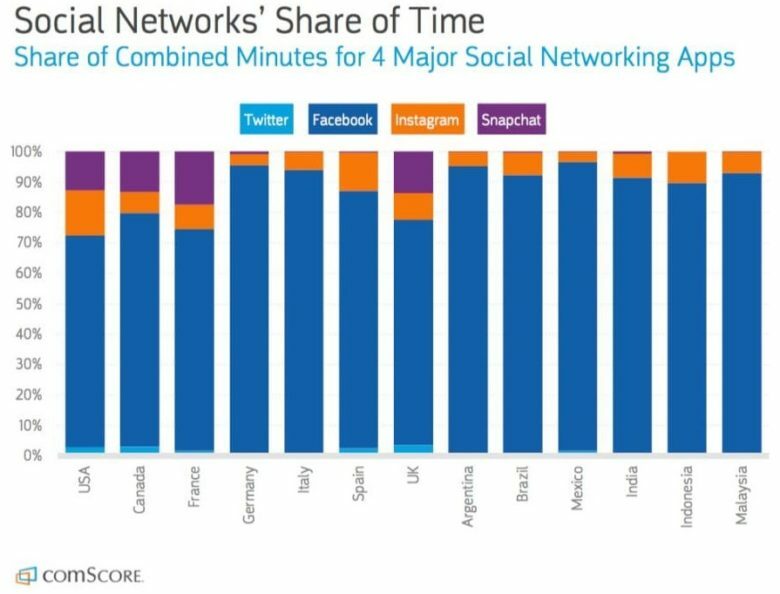 We live in a media world where you’ve got a fraction of seconds to catch the attention. The hyper-dynamic nature of online marketing took the world by storm. Nearly half of internet users search for a video about a product or service before going to a store. Moreover, with a short attention span, they want more video. Thus, 81 percent of businesses are using video as a marketing tool – up from 63 percent from 2017, according to a survey. Well, the video is turning into a super content marketing craze and if you still don’t make the best of it, it’s inexcusable. US companies spent $13.23 billion on digital video ads in 2017 and the number is predicted to increase to over $22 billion by 2021. As long as consumers become more familiar with video, it a key opportunity for marketers to look out for in 2019. As a result, the video ad clickthrough rate can do wonders. Thus, it can result in boosting overall CTR performance for all video formats. Study after study shows that more and more people respond to video content. Think only of every fifth person having a YouTube account (1.5 billion monthly active users). At last, if you’d like to generate 41 percent of web traffic, go ahead and get creative with it. What’s more, adding video to a landing page boosts conversions by as much as 80 percent. Get aggressive in your plans. Sure, the numbers of PPC can be challenging but there’s one thing to remember – each click represents a living, breathing human being. Each click means what that person needs, wants and problem to solve. The users have all the power. Thus, audience targeting impacts how advertisers focus on the right folks as they bouncing around the world wide web. None of the strategies is possible without data. When used properly, data provides fantastic insights into your customers; their habits, problems, and desires. 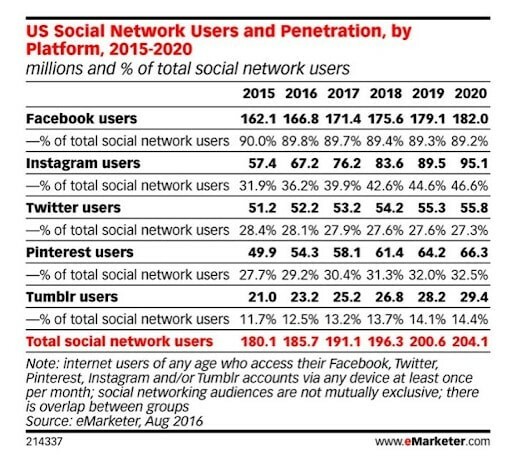 Just think of those numbers: Uber, 2016 57 million users with personal information exposed, eBay with 177 million user accounts, 227.8 million user accounts, and on it goes… Huge numbers, right? Adhering to the GPDR standards means that marketers need to create their campaigns as specific as possible. Aiming to prevent collecting personal data for a personal big goal, the GDPR necessitates social platforms to inform a user about what they want to do with the personal data. As a result, a chance to “opt-out” beforehand is key to a more accurate audience targeting. Thus, if you‘re on the lookout for better ways to target promotional content, ht experts from the Profitner loan affiliate network remind that the accuracy of targeting is key to successful campaigns. It’s clear, having the upper hand in the business world, users expand their ability to influence. From now on, they have the right to know when and where their information is being used or misused. So, the more detailed the data, the more efficient the campaign. Do you know that digital advertising and programmatic are among the most attractive investment channels up to date? Keeping an ear to the ground can help keep your PPC budget in top shape. Time had changed and today you can purchase ad space yourself without all the red tape. Before programmatic marketing become popular, online publishers stayed ahead of the game. Yet, since their number began to grow at a pace, advertisers couldn’t keep up with. With a far more slowly expand than expected, programmatic advertising is becoming a true game-changer. In fact, it became the most popular and widely-used type of digital display advertising in the U.S in 2015. At the end of the day, it has changed the online advertising landscape. That said, advertisers are expected to spend $84 billion programmatically next year. 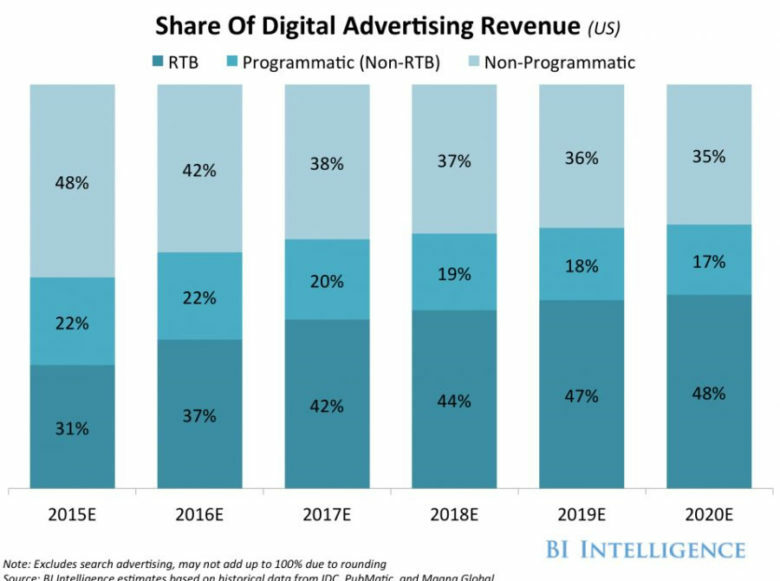 By 2020, the programmatic ad spends will reach $98 billion, representing 68 percent of digital media ad spend. Here’s how the proportions of non-RTB (real-time bidding) programmatic and RTB vs. non-programmatic are stacking up for the next few years. 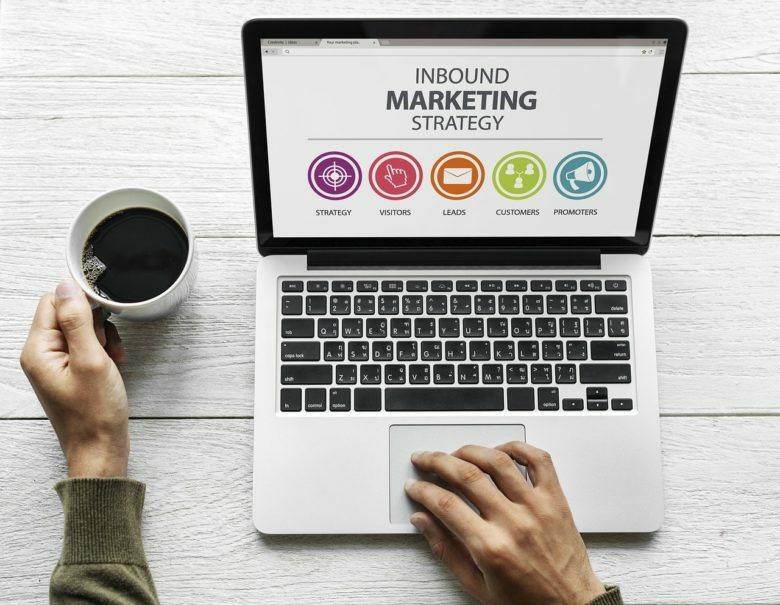 2019 is quickly approaching bringing a new world of ad marketing opportunities. It’s a good idea to test and implement new ideas into your marketing campaigns. As the march of online consumption shows no signs of stopping, most experts predict 2019 the bright future. With 5G just around the corner, consumers are going to get outstanding content more than ever. So, testing new paid channels will do the trick. Check the list of the free online advertising sites to reach your marketing goals without a budget. 2019 will be the year of doing what we’re doing now, but better…better data, better AI, better branding all coming together to deliver better consumer experiences. Indeed, there will be some surprisingly new ad features, new tools, reports, and ad types. It makes sense to adapt to automation to maximize your ad campaigns. Yet, chances are you can improve the online customer experience. The digital marketing is now more like a piano; you just need to push the right buttons to provide value. All in all, when it comes to creating targeted advertising campaigns, the sky’s the limit. Even with the most effective PPC channels like text, ads, remarketing and mobile, don’t skip programmatic marketing. Now, go ahead, manage everything to make a big move in the advertising market.